Recently, Mashable wrote a post focused on social media tips specifically for writers that I found intriguing. If you’re not familiar with Mashable, the website keeps its readers up to date on all things techy, from equipment to programs to social media. In its recent post, Mashable polled six authors who have expertise in branding and asked them to share their best suggestions. Here’s what they said as well as my recommendations and comments. In other words, sign up for Twitter and Facebook. If you write romance or erotica, I don’t suggest rushing to LinkedIn. I also consider Pinterest and Google+ big networks and as you gain confidence with Twitter and Facebook, venture further into the terrain of the big networks. If you published a cookbook or another type of image-based book, you need to be on Instagram. And if you write YA and New Adult novels, I would suggest you join Tumblr. That’s where you’ll find most of your readers. I don’t recommend that you join all the big networks at once. Ease into social media. And don’t worry about RebelMouse or Medium. You may never need to join those networks. I wholeheartedly agree with this advice. Keep the social in social media by allocating time each day to communicate with your friends, fans, followers, connections and readers. Like your fans’ posts, reply to comments they left on your Facebook page, retweet messages from followers, and generally comment on or share your readers’ content when appropriate. I do, however, disagree with Allison Winn Scotch’s advice to only post a few times a week on Facebook. If you do that, you will lose your place in your fans’ news feeds. Try to post twice a day on your Facebook page. If that seems unbearable, then post at least once daily. And use applications such as Mention to keep up with what your connections are doing and saying. In addition, sign up for SocialOomph, which will schedule your posts but and notify you daily about replies and retweets. I love this suggestion. The golden rule, which I’ve repeated many times on this blog, is to promote your content 20 percent of the time and your friends and colleagues’ content 80 percent of the time. I also like this piece of advice. Not everyone is comfortable with having their profiles easily accessible on the Internet. For a variety of reasons – from divorce to stalkers – some people want to remain somewhat private. Determining how publish you should be on social media is a highly individual decision. I suggest that you be as open as you can without creating risk in your life. Facebook has strengthened its privacy controls and on Twitter you can protect your tweets. Be as available to anyone on the Internet according to your comfort level. This tidbit of advice runs contrary to what Guy Kawasaki suggests. He recommends that you make waves, stir up some controversy, and enjoy the conversation. I say it’s important to be mindful of your brand. Do you want to be known for inciting a riot or writing killer literature? Having said that, I also think it’s okay to express our support for an issue we care deeply about. However, it’s important to do this with care and in a manner that isn’t intended to be combative or polarizing. I agree with this advice. In addition, I think it’s okay to follow people on Twitter who will never reciprocate with a follow. I don’t care that some of the people I follow will never follow me. That’s not the point. I follow them because I value what they have to say. Period. In other words, don’t abandon an old website or Twitter account. If you’re not using a social media profile, it’s better to delete it then let it just sit there, appearing abandoned. However, I also think it’s important to make a commitment to social media. Once you create your social media profiles, create an editorial calendar and commit to publishing content on a regular basis. This is what I have to say on this topic: Who gets to describe some writers as “aspiring” and others as “seasoned”? I’ve been writing since I was eight years old. Does that make me an aspiring writer because I don’t have a publisher? This section of the post is infuriating in some ways because it perpetuates the myth that if you self-publish you haven’t arrived at the gala. Social media is a great leveling field in marketing. Presumed seasoned writers have nothing over self-published authors. I like this suggestion. It’s also true that publishers look at the numbers, so where’s the truth? I don’t know. I agree. Be natural. Post what feels right and what best positions your brand and your books. I would caveat #3. Self-promotion or promotion of others doesn’t look much different to a third party, i.e., prospective readers. After a while, posts with links to books and loaded with hashtags, all look the same whether they are an RT or not. The 20% needs to be about *any* promotion. 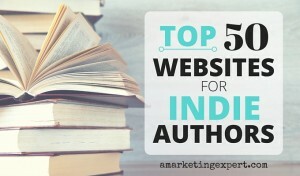 The rest needs to be interesting, compelling content that might draw readers. Eduardo: Love your comment. I absolutely agree! The blog is interesting and useful. Thanks for sharing.